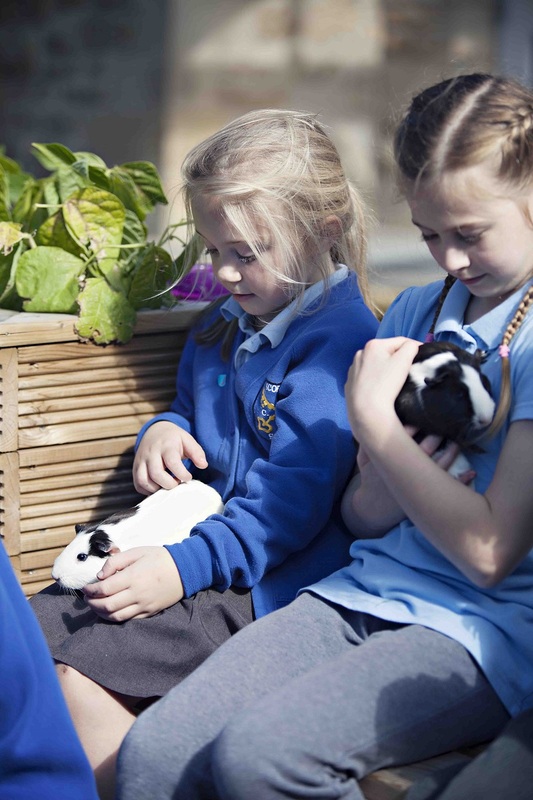 Our school guinea pigs are called Cocoa and Marshmallow. We love caring for them, cleaning their home and letting them run out on the grass.At weekends and holidays we can take them home! In school time they are great to spend some quiet time with and they love listening to our stories!